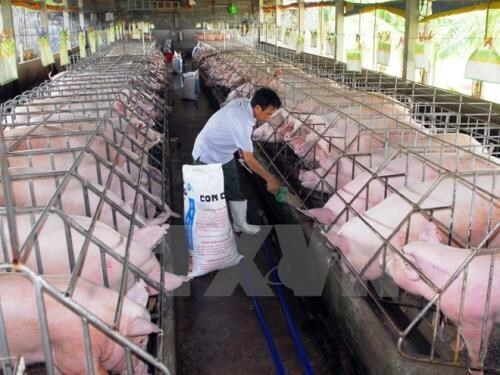 Hanoi (VNA) – Vietnam is currently ASEAN’s biggest animal feed producer and the tenth biggest in the world, according to the Husbandry Department, Ministry of Agriculture and Rural Development. The country has more than 300 animal feed factories and over 200 facilities producing supplementary food, with total capacity of 31 million tonnes per year. Vietnam’s animal feed output increased from 400,000 tonnes in 1993 to 23.15 million tonnes in 2016, the world’s fastest growth in scale and production over the last 20 years.